No they didn’t, it is called football. It’s not hand-egg, it is a game with a ball played with the foot. I’m not sure what point you’re trying to make. The football being referenced here is called soccer in America, to differentiate from the preexisting sport of football here. American football is 60 minutes, not 90. I prefer the seldom-seen sports shown on ESPN 8 – “The Ocho”. Lawn-mower racing, slap-fighting, Tidy-Bowl Scrub-offs, Soccer, Dodgeball…stuff like that. You got thumbs down for stating objective fact! 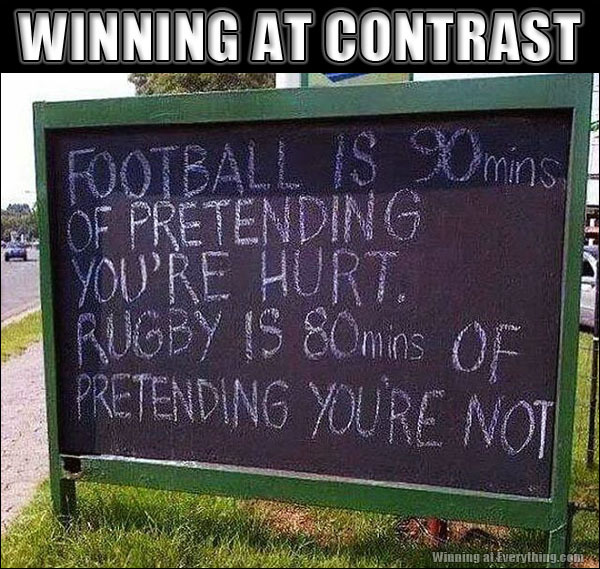 It’s called soccer here in South Africa too. Football is an ambiguous term. Still waiting for “OUCH MY BALLS” as foretold in “Idiocracy”.